Christmas is coming to the NMA! We’ve got loads to celebrate this Christmas, so why not bring your family along to the NMA to experience our underwater delights for yourself? Everyone can get involved with our family trail, craft activities, and daily talks and shows. Our new ‘Magical Migrations’ theme centres around families making the distance to come together for Christmas, just like the lengths animals travel around the world during their migrations! You can enjoy crafts, a trail around the whole Aquarium, as well as all the daily shows like the Rockpool feed at 10:30 and fascinating Octopus talk and feed at 13:30! Speaking of Magical Migrations, we can’t forget the most extensive migration of all – Santa’s trip around the world! Fortunately he’s stopping here at the NMA for our daily 2pm dive show in the Eddystone Reef Exhibit. Watch him dive, feed the fish, and maybe you can even snap a selfie with the man himself! 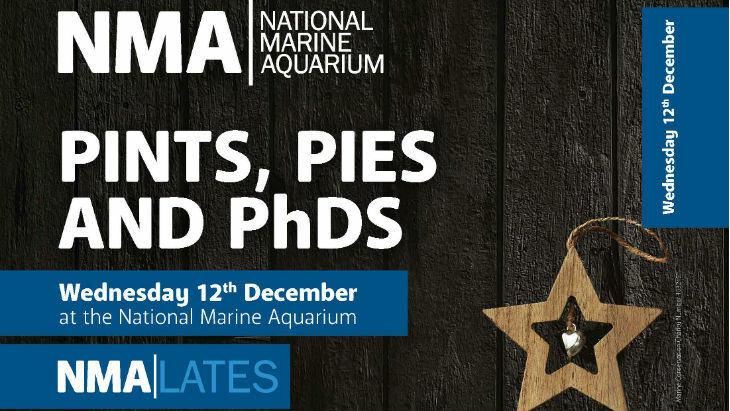 For this last in this year’s adult only (18+) NMA|Lates event – Pies, Pints and PhD’s is going to be a fantastic evening of scientific discovery and festive treats. Join us as we bring together PhD students from the University of Plymouth presenting their research and scientific discoveries. You’ll have the opportunity to network whilst enjoying a free pint and a mince pie or two. 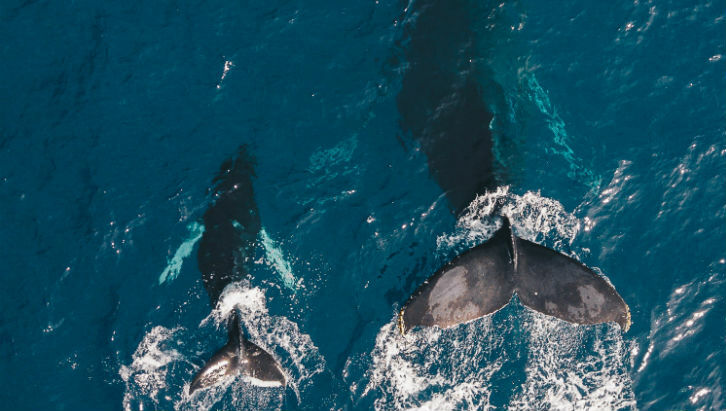 The event also offers the chance to explore our Eddystone Reef and Atlantic Ocean Exhibits in this informal, adult-only setting. Book your spot for Pints, Pies and PhD’s here! As one of the Aquarium’s most popular events, Sleeping with Sharks is an incredible opportunity to see what happens in the Underwater world around us at night! It’s perfect for parties, group bookings and family memories. You’ll be able to enjoy an unforgettable evening exploring the whole Aquarium with an exclusive tour, games, crafts and much more before settling in front of our Eddystone Reef tank for a movie and late night snack! Our New Years Sleepover is now sold out, but don’t worry, you haven’t missed out! Keep an eye out on our website and blog for next year’s Sleeping with Sharks dates. 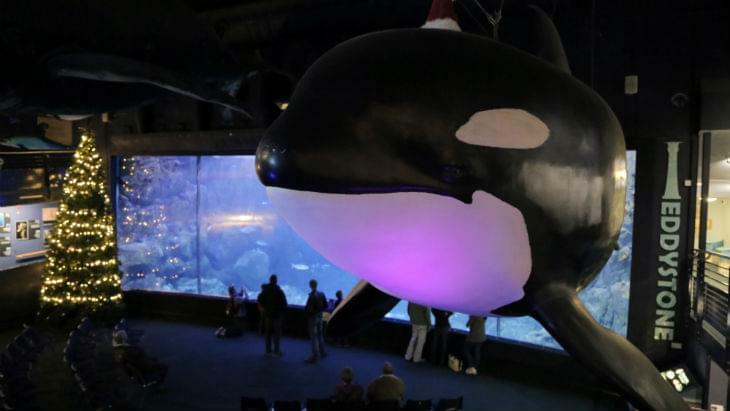 We look forward to seeing you at the National Marine Aquarium this Christmas!